North Korea cures AIDS, Ebola, and MERS, North Korea says. 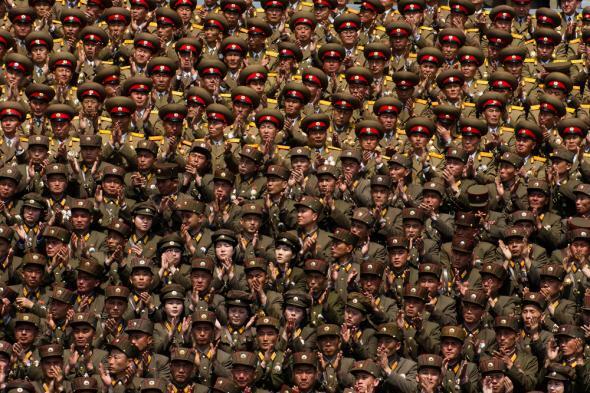 North Korean soldiers in an image from 2012. The authoritarian, impoverished nation better known for pursuing a nuclear program despite global criticism announced Friday it has a drug that can prevent and cure MERS, Ebola, SARS and AIDS. *North Korea did not cure AIDS.